When it comes to the air ambulance services within the country or out of the country, “Human Care Air Ambulance” is the one that is preferred. It is a well known name in the field of emergency and non emergency medical aviation services and the services it provides to its customers. Ever since the establishment of the services, we are committed to stay true to our words and this makes us the most preferred medical emergency aviation service providers in Qatar. We have highly qualified doctors and skilled professionals to treat each patient with sensitivity and care. We are included in the top most affordable air medical service providers in Qatar and this motivates and encourages us to give our best to our patients. We treat them like our own family and fulfill all their needs with our services like pre counseling, transportation facilities like wheelchairs, stretchers, escorts, and any kind of personal assistance. Our service for patient transport in Qatar is not only fast, but also safe for the patients who need extra care and are critical. This has made has the most loved air ambulance service providers in Qatar. Why should you choose Human Care Air Ambulance Company over other companies? You might be wondering as to why should you choose only Human Care Air Ambulance Service and not other service providers when there are so many other options to choose from. Here are a few of the reasons that make Human Care Patient Transport Services the most preferred over other service providers. The citizens of Qatar always look forward to Human Care Air Ambulance when it comes to the emergency aviation services as we are the most affordable and reliable service providers in terms of providing all kinds of emergency services and proving to stay truthful to our words. Our services are located in all the parts of the city and at any time that you need. We are ready to help you out at any point of time as per your requirements. We have a team of specialized and experienced professionals in all the domains to take care of the needs of the patients and providing them with excellent services. Qatar citizens are very much satisfied with the services we have been providing to the patients as our staff will always be present in your service and please you with their efficiency. Our team of staff will assist you and take care of you and all your needs at all your steps. Our doctors and attendants provide you with a quicker response when it comes to your health and needs and therefore you can definitely rely on them for whatever services you are in need of. 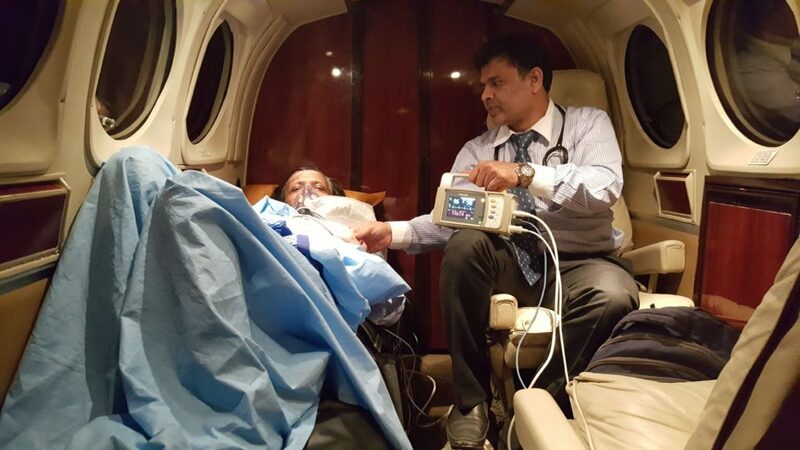 Human Care Air Ambulance Service has been the most efficient in terms of its services, time, dedication, and moreover, it is very much affordable. We are therefore the most preferred emergency patient aviation transport providers in the city of Qatar.